I hope that your all well and enjoying the sunshine, it's been a long time coming. But it's here so lets enjoy it. 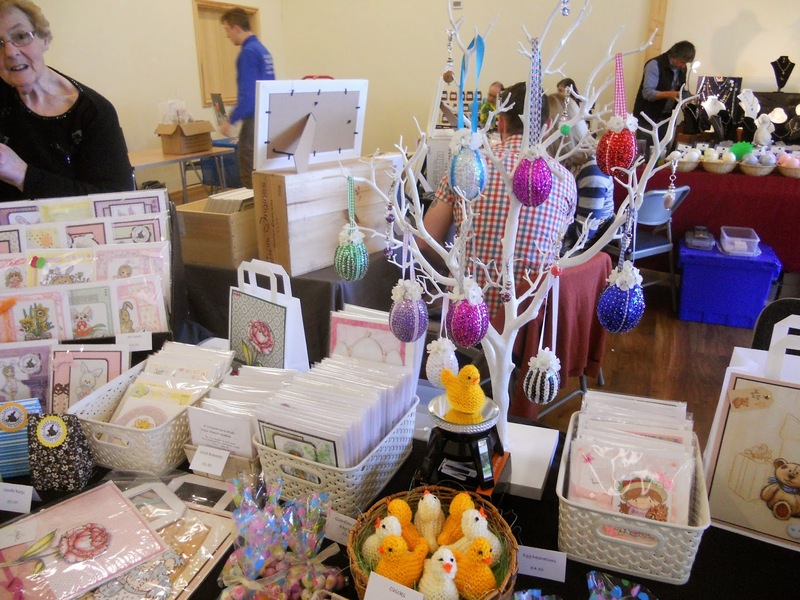 Well, on Sunday I did a Craft Fair. 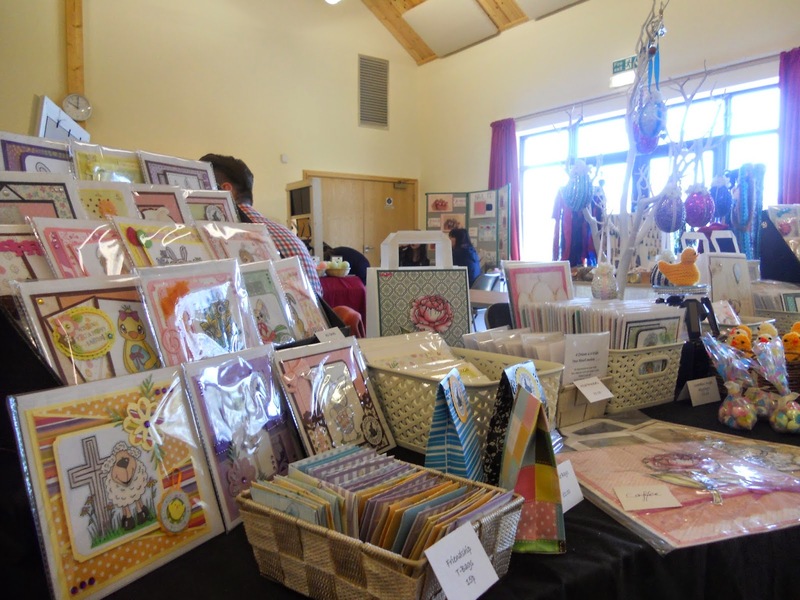 Now it wasn't that busy, but it was fantastic to see so many Crafts on offer. 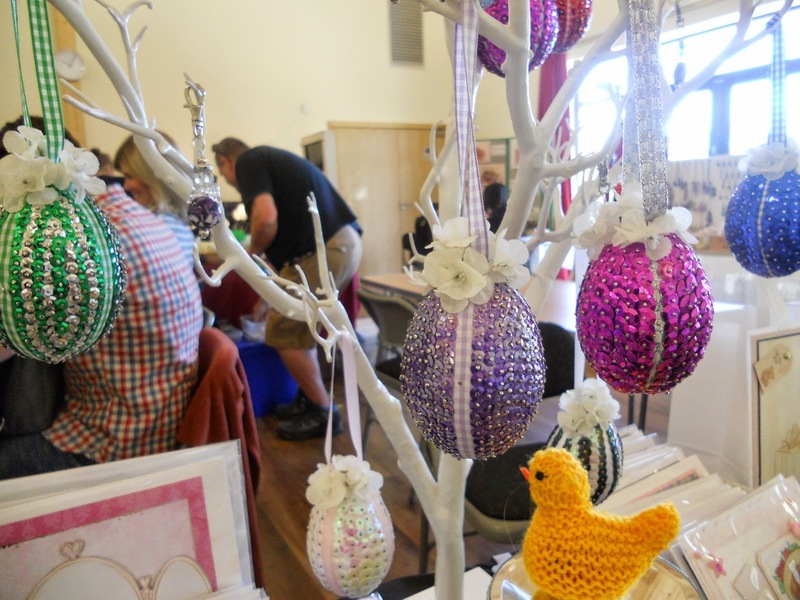 My Mum did all the knitting and the Eggs upon the tree. And she is pictured in the corner, she hates photo's being taken of her. This is a close up of the Egg's my Mum decorated, they have sequins and each is individually pressed into the polystyrene egg. I think they look fabulous. Also you can see her Chick, going round on the turntable, it gives a surprise cause each one has a Cabury's Cream Egg too. I had a brilliant day.